Drexel University's Thomas R. Kline School of Law, J.D. 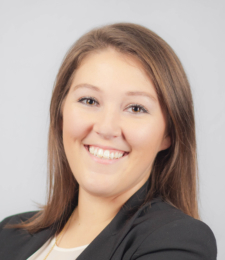 Jessica is an associate at Goldberg, Miller & Rubin’s Philadelphia office. Her practice primarily focuses on general liability, automobile accidents, premises liability cases, dog bites, and intentional torts. Jessica graduated with her Juris Doctor from Drexel University’s Thomas R Kline School of Law, where she earned a Pro Bono Recognition Award and served as a member of the Student Bar Association. She also was a member of the Marshall-Brennan Constitutional Literacy Project where she taught inner-city kids about the Constitution in addition to coaching two students in a moot court competition. While in law school, Jessica gained valuable experience through her internships with Einstein Healthcare Network, the Department of Health and Human Services and the Department of Homeland Security. She also served as a summer clerk for the Honorable Mark I. Bernstein in the Philadelphia Court of Common Pleas. Prior to law school. Jessica attended the University of Delaware where she received her Bachelors in Political Science and Psychology. During her undergrad, she had the opportunity to spend a winter session in Washington D.C., where she interned for a Senator. When she is not practicing, Jessica enjoys traveling, attending Philadelphia sporting events, spending time at her family’s lake house, and baking cakes and other goodies. The information on this site does not convey legal advice of any kind.